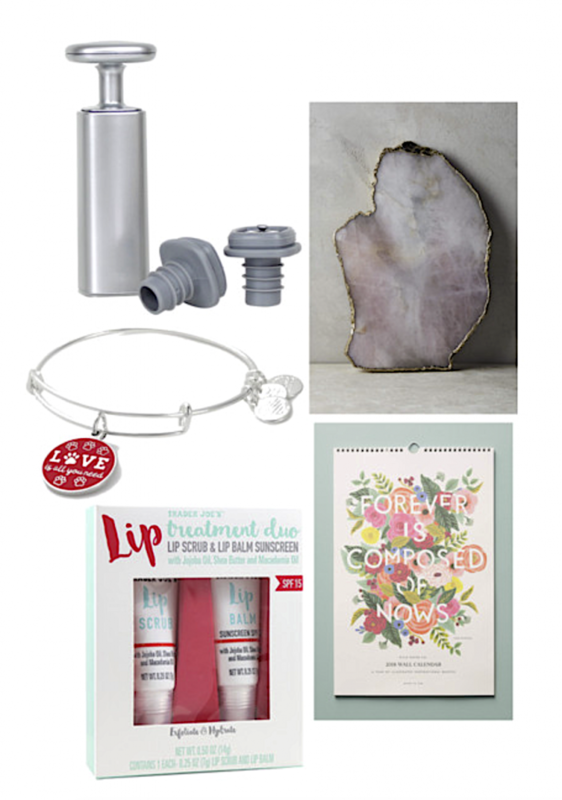 I’ll be sharing Christmas gifts I received in my next few Thursday’s Fab Five posts, rather than doing a gift haul. I figure this gives me more space to talk about each product! 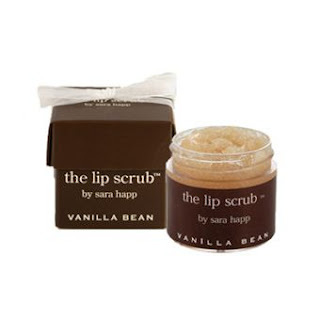 Ever since Rachel Zoe recommended this product last year, I’ve been seriously loving Sara Happ’s Lip Scrub. Winter weather is harsh on lips, and sometimes your wonderful chapstick/ lip balm can’t really moisturize your lips if you aren’t properly exfoliating them. If you’re lips are feeling dry or even worse, flaky, I def suggest you try out this lip scrub. It’s super moisturizing and, added bonus, also super yummy. You only need to use a little bit, and while it may leave your lips kinda red and tingly for a little bit, the end result is worth it. I just used the lip scrub this morning when I got out of the shower, the ingredients are all edible, so don’t necessarily purposely eat it, but if you do, it’s gonna taste good and isn’t harmful at all! I have Vanilla Bean, it’s my favorite, although I might try the cinnamon sugar lip scrub next. The other flavors are: almond creme, peppermint, creme brulee, brown sugar, and cocoa. I’m sure all are equally yummy. Anyway, after you use the scrub use a lot of chapstick/ lip balm so your lips really take in those moisturizing ingredients. 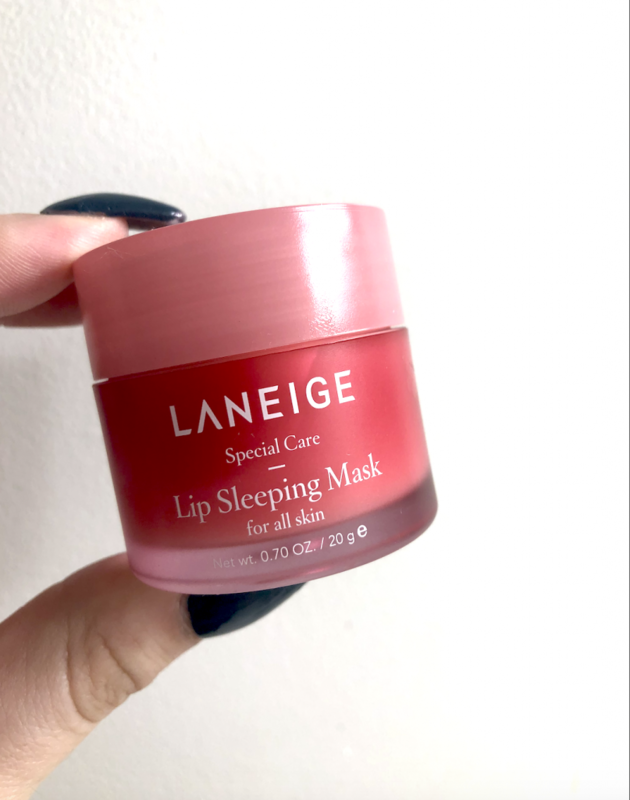 Throughout the day you’ll notice noticeably softer and moisturized lips! YAY! I just wanted to put up a quick post about my favorite lip balm. I ran out of it today, and it made me think about how many of these I go through…I think I’m addicted. 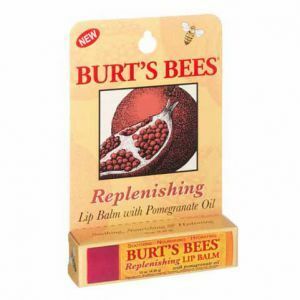 Burt’s Bees Replenishing Lip Balm with Pomegrante Oil. This stuff is amazing. I wrote about it in my beach bag post, but I would just like to reiterate how fabulous I think this lip balm is. I’ve used all types of lip balms/ chapsticks…Blistex, Rosebud Salve (which I still love), Softlips, and Carmex. But, for some reason I love the texture of the Burt’s Bees the best. I also like that I can feel the pomegrante oil, and I really think that has helped keep my lips protected in both the winter from the harsh cold, and the summer from the strong sun. Lastly, this lip balm uses all natural ingredients which I prefer and has an SPF of 20. Which remindssss meeeee, it’s SO important to make sure your chapstick or lip balm (whatever, they’re the same thing) has SPF in it. Usually making sure your lips are protected from the sun is the last thought someone has while at the beach ready to get their tan on. Howeverrrrr, your lips don’t tan, duh, so they must be protected from the harsh rays. So, make sure you have a lip balm wth SPF 15 or higher, I’d always opt for the higher. PS: Sorry I haven’t updated in a few days, life has been super hectic the past week!